Great news for all travelers! 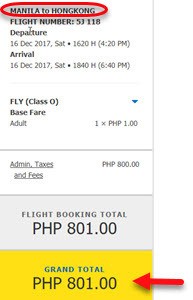 Here is one P1 Fare seat sale you will not want to disregard. 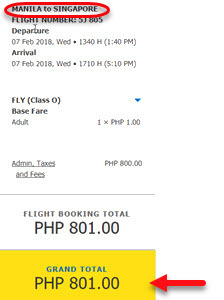 Once again, Cebu Pacific Air announced their P1 Fare promos. All routes are on promo! PISO FARE promos are available to domestic and international destinations for 2017 to 2018 travel. Grab the opportunity to book your trips to your dream destinations via this seat sale. Booking for this sale starts now until June 30! However, seats are LIMITED, so book fast! The Piso Fare promo tickets are good for one-way travel from September 1, 2017 to March 15, 2018. Domestic Piso Fare tickets are valid for one-way travel. Inclusions are 7 kilos hand carry bag, P1 base fare, P150 Web Admin Fee, 12% taxes and fees (VAT). Also included are terminal fees for flights originating from Manila, Cebu and Caticlan. Domestic terminal fees from airports other than Caticlan/Manila/Cebu must be paid at the airport. 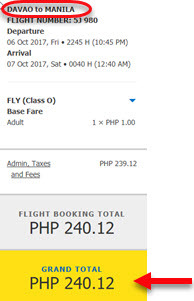 As for international promo fares, tickets covered P1 base fare, Web Admin Fees (P150 for short haul and P200 for long haul destinations). 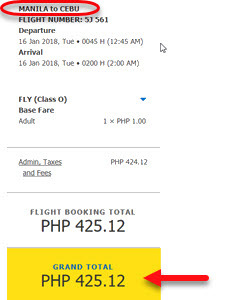 International flights exiting Manila also include the P550 International Terminal Fee. 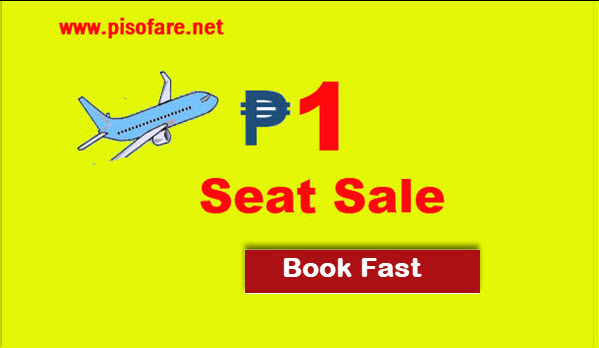 Hurry and book your PISO FARE ticket via online booking at www.cebupacificair.com. No promo code needed. You may also call Cebu Pacific hotline: Manila (02) 702 0888 or Cebu (032) 230 8888. Grab the PISO FARE tickets FAST! Limited seats on sale! For more airline PISO FARE, promo fare updates and travel tips, LIKE and FOLLOW our Facebook: PISO FARE TICKET!! !